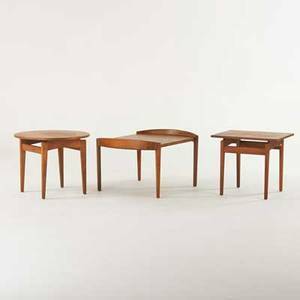 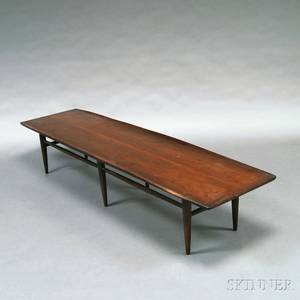 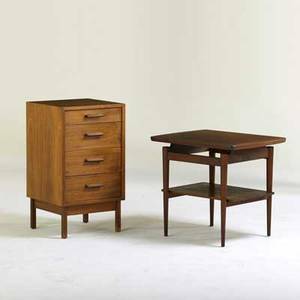 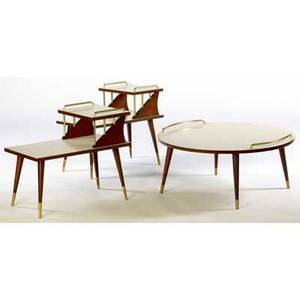 Modern walnut coffee table and two matching step tables with laminate tops and brass trim. 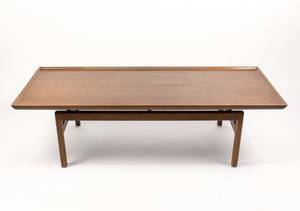 coffee table: 15" x 35 1/2" dia. 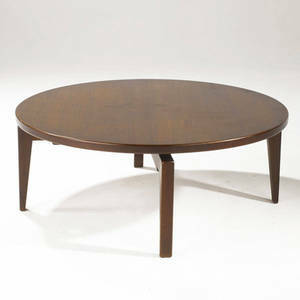 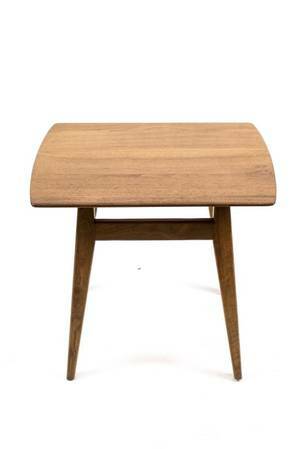 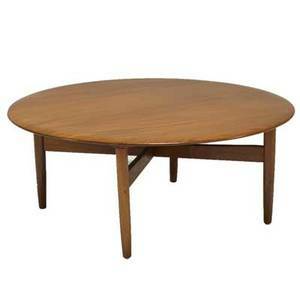 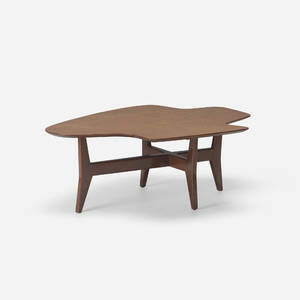 Jens risom walnut coffee table with circular rotating top. 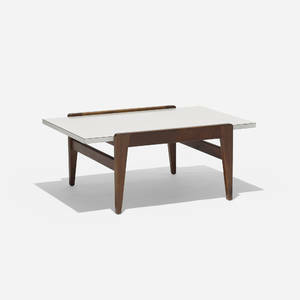 16 1/2" x 42" dia.